While getting our weekly groceries I was perusing the snack aisle and came across this bag. 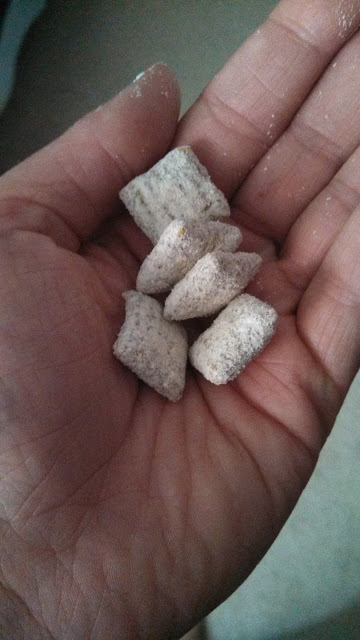 One of my favorite snacks growing up was Puppy Chow! Made with Crispix not Chex of course. Since I loved it so much I thought I'd splurge and try a bag plus they were on sale, I mean really who can resist when that happens? *Munch Munch Munch* Overall I'd say they were pretty good. Definitely not the same as homemade though. I think we must have added more chocolate and peanut butter to our recipe cause it felt like they needed more of both, it was a tad dry. 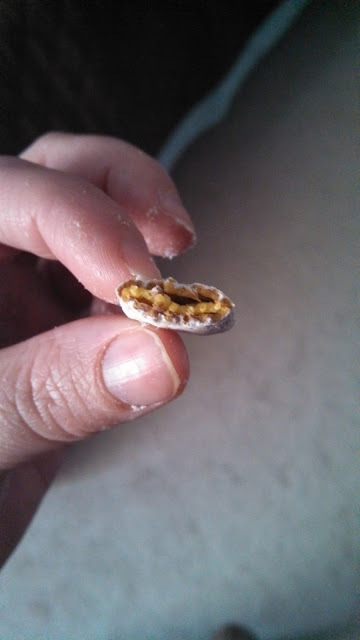 The flavor of the Chex somewhat overwhelms too and if there was more coating you would get a more even flavor. My conclusion is when you need a last minute munch for a party or after a night out this is definitely a good one to grab! 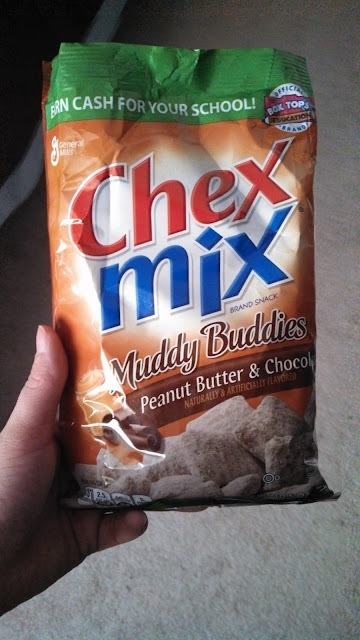 I agree that homemade is better but these can get me through a puppy chow craving. I usually get them and bring them to the movie theater. Perfect snack! I have never made homemade, but I have found that usually homemade is better!